We are here to help you with your upholstery needs to create a concept as unique as yourself. Premium and Classy Upholstery All our furniture is built from quality raw materials that offer longevity. We combine creativity and outstanding craftsmanship in providing upholstery for every nook and cranny of your home. From the bedroom to the living room and dining, our premium upholstered furniture are specially made for customers that are passionate about adding a touch of class to their interiors Whether you want redesigned upholstery for your old furniture or a new custom piece. Evolve Furniture will offer you all at the best value. With our topnotch craftsmanship and extraordinary ability to match any style, we ensure to provide nothing short of quality. Marco Draperies & Interiors LLC was established in 1972 in Northeastern Pennsylvania and moved to Arizona in 1985. We are family owned and operated by the original owners who still own the business currently. Independent Sales Representative for the Robert Allen Group, featuring Robert Allen & Beacon Hill Fabrics. We also represent Davis & Davis Custom Rugs & Broadloom. For over 40 years, Sit Well Upholstery has been providing exquisite craftsmanship and detailed care into every aspect of upholstery restoration including design originality, selection of exotic fabrics and custom finishes. Our experienced staff of craftsmen, industrial & interior designers offers endless possibilities of custom-designed furniture with a diverse spectrum of finishes and wide assortment of exotic woods and glamorous textures. We make your dream a reality. We create stunning and unique pieces of fine residential and executive furniture. Sit Well Upholstery is focused on providing high quality service and total customer satisfaction. Since 1960, the Piazza family has taken great pride in providing high quality workmanship in every phase of furniture upholstery in both residential and commercial projects. We provide custom upholstery, furniture repair and complete restyling of furniture. The late Paul Piazza always took pride in his craftsmanship and today the Piazza family has succeeded in continuing with that same high quality of work man ship and attention to detail. We will come to your home or office and provide free estimates and competitive pricing on upholstery, furniture repair and fabric sales. We make sure the customer is completely happy with our quality of work . Desert Flower Interiors provides retail sales and the manufacturing of custom upholstery including furniture, slipcovers, custom pillows, headboards, designer ottomans, and the cute tuffets. The drapery department not only makes all types of draperies and fancy window treatments, but also decorative pillows and custom bedding. Plus our newest project, children's bedding. We also do memory quilts or will quilt pieced quilts for you. We are your complete custom design workroom specializing in Custom Quilted Bedspreads, Coverlets, and Comforters. We also manufacture all the accessories to make each bedroom design unique. From a full range of custom Throw Pillows, Pillow Shams, Dust Ruffles, Table Cloths, Bolsters, Duvet Covers, Cushions, Upholstered Headboards, and Upholstered Benches to anything you can dream up. Everything can be customized and made to your specifications. Custom made Luxury Ottomans. Combine beauty, sophistication and practicality. Contact Us With Any Questions or Concerns That You May Have. 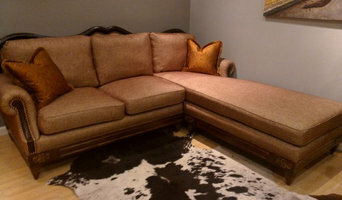 We are a complete upholstery and furniture repair facility. We work on all types of furniture. Commercial and Residential clients welcome. We've been proudly serving the Valley since 1982. 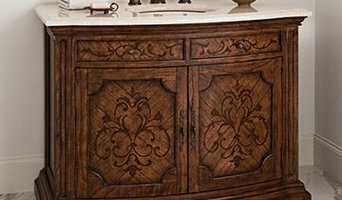 Tri-Cor Furniture Repair has been providing a wide variety of furniture, cabinet and millwork services since 1995. Services can be completed on-site or at our facility, in the valley or out of state. Somos una tapicería que con el compromiso hacia el cliente y la buena intención. Ser sinónimo de satisfacción para nuestros clientes y poder ser la primera opción en la mente de ellos a la hora de tapizar. Además, ser reconocidos como una empresa responsable, de confianza e innovadora en lo que hace. Our team prides our selves in delivering hand-upholstered products with perfect quality guaranteed every time. Re-upholstery/upholstery repair includes redoing/outfitting items like chairs and sofas with springs, padding and fabric coverings. This can also include adding fringe, piping, tufting or additional decorative elements to a furniture piece. They can also advise you about the pros and cons of different fabrics so you can choose the best type for the project in your Fountain Hills home. Find Fountain Hills furniture repair professionals on Houzz. Narrow your search in the Professionals section of the website to Fountain Hills, AZ furniture repair.